Following hot on the heels of the successes of the Cooking Mama series of games and Nintendo's own recently released DS cookbook, come two announcements from E3 this week that two of the UK's best known celebrity chefs, Jamie Oliver and Gordon Ramsay, will both be bringing out their own videogames this Christmas. Ubisoft has just announced that it will publish Hell's Kitchen: The Video Game in September – on Wii, Nintendo DS, PC and Mac – to "allow players to experience the show's high-pressure kitchen and dining room challenges as a faithfully rendered 3D Gordon Ramsay watches their every move." "I had a great time doing the voice for my own animation," said Gordon Ramsay. "Being in a video game is a new experience for me and I'm very pleased with the results." Notice the lack of swearing in the above comment from Ramsay! A Ubisoft rep just informed TechRadar that – somewhat ironically – the game is to be rated 12+ and that there will be no actual swearing in Ramsay's game with any rude words on screen hidden by an asterisk. Players earn stars to "build their way up from a Single-Star restaurant to a prestigious Five-Star establishment… the pressure builds as customers become increasingly demanding… keep up with the pressure before time is up, or Ramsay loses patience and closes the kitchen." Not one to miss out on another bandwagon, Atari has also announced What's Cooking? with Jamie Oliver, "the first video game to feature international cooking star Jamie Oliver and his delicious, world-renowned recipes, scheduled for release exclusively on Nintendo DS for Christmas 2008." The game offers the questionable gift of carrying Jamie Oliver with you "every step of the way to offer help and inspiration at the supermarket, in the kitchen, on the barbecue, or wherever you feel like cooking up a storm." 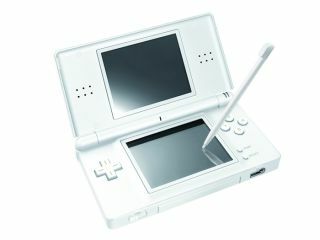 'Players' can also share their own recipes using the Nintendo Wi-Fi Connection. "I really want to get as many people as I can cooking simple, tasty food, so I'm really excited about bringing a book's worth of my recipes to a game for the first time," said Jamie Oliver. "You can cook my recipes for real at home or in the game's 3D kitchens, but what's brilliant is that you can come up with your own recipes then share them with your mates and family over Wi-Fi. Lovely." E3 gets slightly stranger every year.